Food Grade H-1 Hi-Temp Chain Lube is synthetic, anti-wear, smokeless, odorless, high temperature lubricant for use in all types of high temperature oven chains exposed to temperatures up to 600°F. Food Grade H-1 Hi-Temp Chain Lube rapidly and evenly penetrates into the chain rollers, pin and sprockets to provide thorough coverage and reduced frictional drag. Food Grade H-1 Hi-Temp Chain Lube is made from the highest quality combination of naturally derived food grade polyol esters and other food grade synthetic base oils. This unique blend allows the chain lube to remove any volatile odor, flavor and residual fatty acids while delivering excellent lubricity benefits. 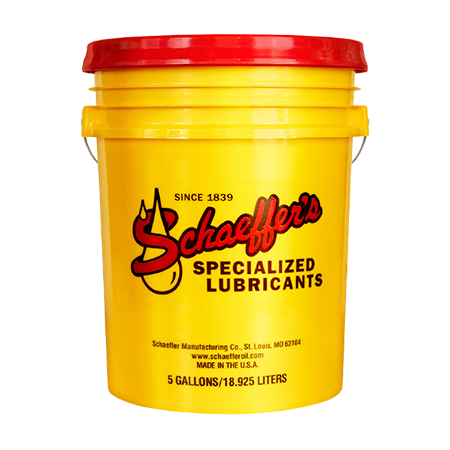 Its high viscosity index provides a minimum change in viscosity with temperature to keep chains properly lubricated regardless of temperature. Food Grade H-1 Hi-Temp Chain Lube meets USDA 1998 H-1 guidelines and is NSF registered. Low volatility and high smoke point. Exceptional anti-wear and extreme pressure properties for reduced chain drag. High degree of solvency will clean and control carbon, varnish and gum buildups. High temperature oxidation and thermal stability. Promotes energy efficiency through reduced drag and friction.